Jim’s Antennas has been servicing Perth for over 10 years, providing quality Antenna Installation and Repair Services for audio-visual transmission devices and accessories. We offer a no obligaton Free Quote; and carry a range of digital TV antennas to make sure we only install the best one specifically suited to the Perth specific location, topography and signal strength. As Australia’s largest Antenna installation service, Jim’s Antennas only use industry leading digital antennas backed by a 3 year guaranteed; and Jim’s famous 100% satisfaction guarantee. 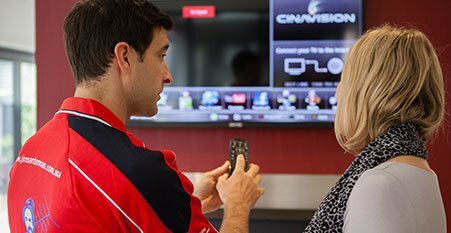 Digital TV Upgrades, Antenna Installations, Antenna Servicing, Diagnoses of Reception Issues and Satellite Dish Supply and Install are our specialty in Perth. Jim’s Antennas expert antenna installers in Perth specialise in Home Theatre, Digital TV and TV Point installations. 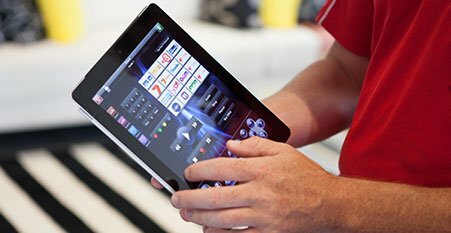 Looking to automate your Perth home or office with the latest technologies? Jim’s Antennas expert technicians are qualified and experienced in the latest smart home technologies. 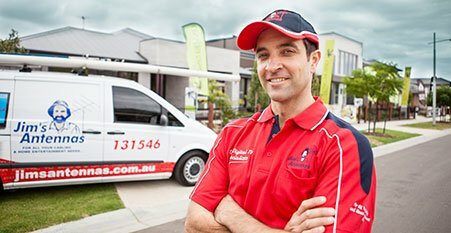 Jim’s Antennas Perth has a dedicated team of experienced commercial technicians who specialise in MATV, SMATV, Multi Switch and Head End Systems for residential and commercial multi dwellings. Whether you have moved into a new residence in Perth or wish to upgrade your existing Aerial or Antenna, we can advise you on the different types of antennas, components and installation methods that would suit all areas and every type of home or building. In Perth, we are simply the digital reception Kings and remain the one-stop destination for most residents of Perth. 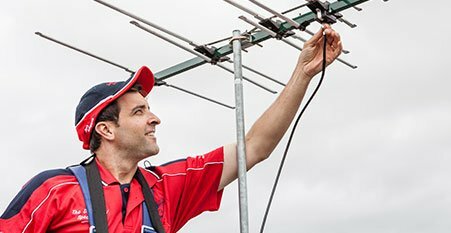 At Jim’s Antennas we tend to take our customers service seriously, and have hundreds of expertly trained Jim’s Antenna’s Franchisees spread throughout Australia, and through WA to sufficiently cater to the demands of our ever expanding client base. Over the years, most of our business has come from word-of-mouth referral, and that alone can tell you a lot about the kind of people we are. Our happy customers in Perth and the suburbs of Perth recommend us to their friends, associates or family living here.